Tabemasu is a wagashi sweets series that creates sweets of different characters. 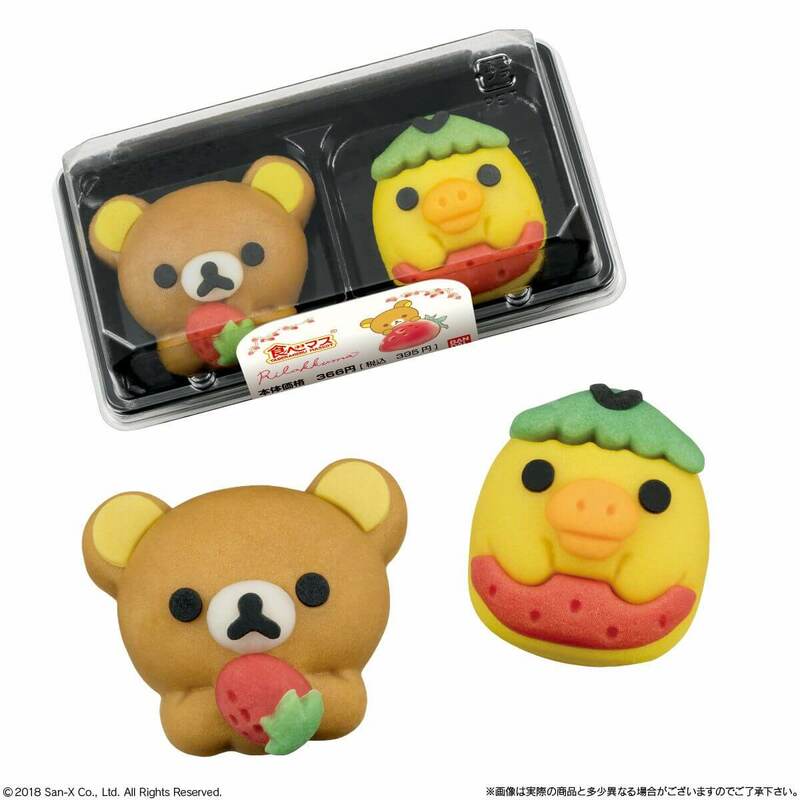 To celebrate his 15th anniversary, the company are releasing a Rilakkuma themed wagashi that features the cute bear himself and his pal Kiiroitori. The set of two wagashi will go on sale from May 15, 2018 and will be available in limited stock at Lawson convenience stores across Japan (excluding Lawson Store 100 branches). 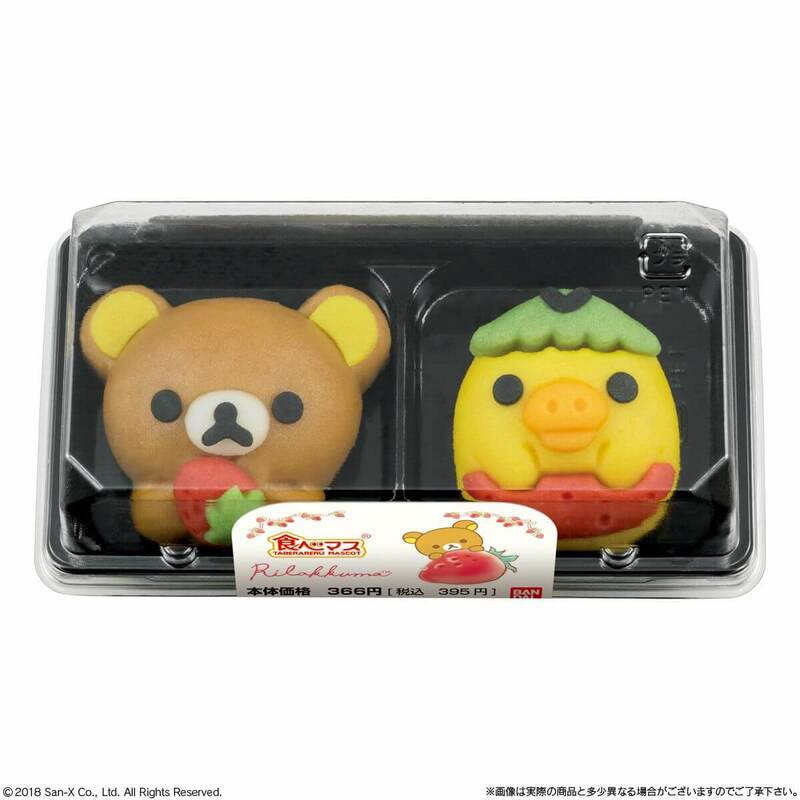 This is the fifth Rilakkuma wagashi to be released from Tabemasu. The pack contains two wagashi: a strawberry flavoured Rilakkuma and a honey maple flavoured Kiiroitori. The release comes under the Taberareru Mascot (‘Mascots You Can Eat’) series, and as the name suggests, the wagashi are crafted with a great attention to detail, capturing the characters’ cuteness. The theme of this release is ‘strawberry’ which in Japanese is ichigo. This lines up with Rilakkuma’s 15th anniversary as 1 in Japanese is ichi and 5 is go. 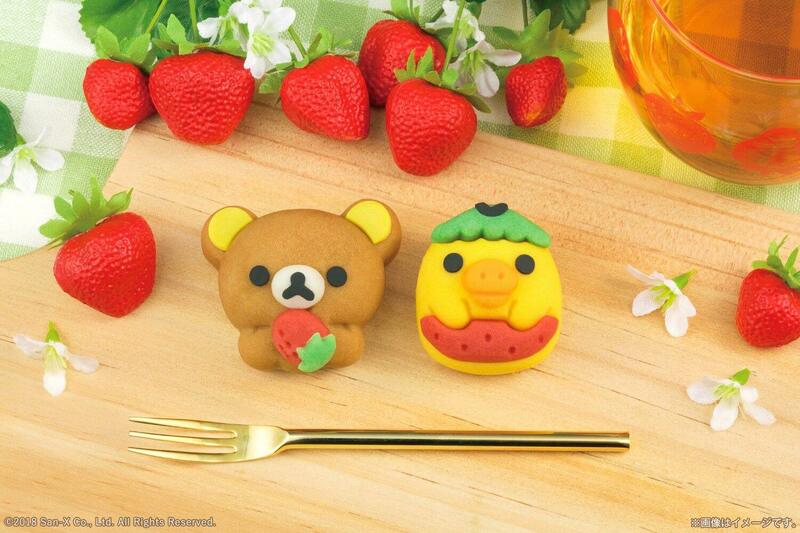 We have Rilakkuma’s cute pose holding a strawberry with both paws, and Kiiroitori with a leaf on his head also hugging a strawberry. Inside the sweets is strawberry flavoured red bean paste and vanilla maple flavoured red bean paste respectively. Kids can also enjoy eating these as they are bite-sized and easy to eat. Find the closest Lawson to you and get your hands on a pack of these cute wagashi for yourself! *The date on which stores get the product in stock may differ from store to store. *Select stores won’t stock the product. *Photos may differ from the actual product. *The Kiiroitori wagashi contains honey. Please do not give to infants under the age of 1. *Be careful as to not get the sweets stuck in your throat.